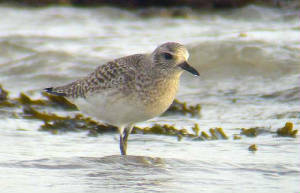 DUNGARVAN: Curlew Sandpiper & male Goosander at Ballyneety, Black Brant in Western Bay, dark-bellied Brent at Abbeyside & Common Sandpiper at Barnawee. CLONEA STRAND: Common Scoter off Ballinclamper. 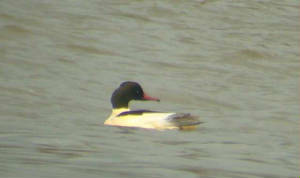 DUNGARVAN: 3 Goosanders (2 males, 1 female) at Ballyneety. 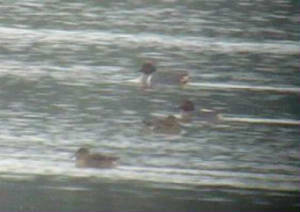 KNOCKADERRY RESERVOIR: 3 Shoveler (male, female & 1st-winter male). 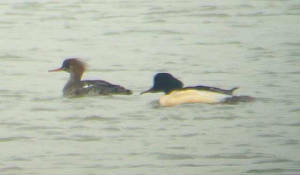 DUNGARVAN: 3 Goosanders (2 males). 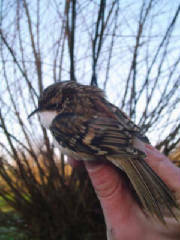 WATERFORD CITY: About 120 Pied Wagtails roosting in plane tree opposite the Tower Hotel. DUNMORE EAST: 8 Purple Sandpipers off the seawall. 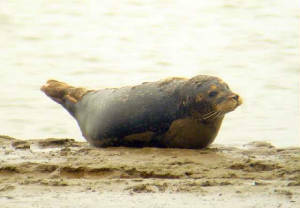 DUNGARVAN: Male Goosander at Ballyneety, also a Common Seal there. 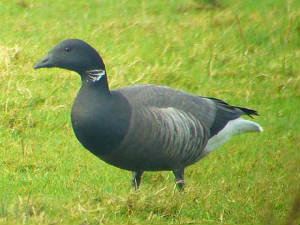 DUNGARVAN: Black Brant & male Goosander at Ballyneety. 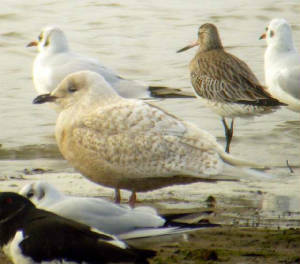 KNOCKADERRY RESERVOIR: Single Whooper Swan & Shoveler, many Wigeon. 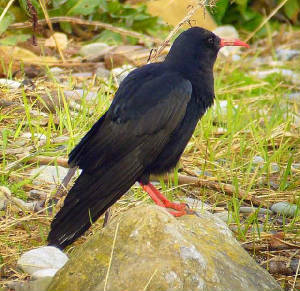 WHITING BAY: Flock of 40+ Choughs. DUNGARVAN: Green-winged Teal off the pitch & putt club / sports centre, Whimbrel at Knockanpower Lower & Common Sandpiper at Barnawee. 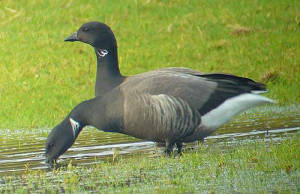 DUNGARVAN: Dark-bellied Brent Goose at the Sports Centre, 6 Great Northern Divers at Ballynagaul. 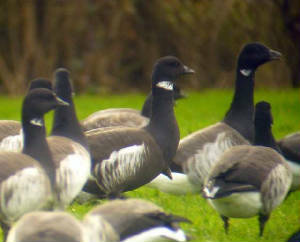 DUNGARVAN: BLACK BRANT & 2 Tufted Duck off the Sports Centre. 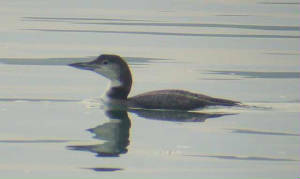 RAM HEAD: Great Northern Diver, 2 Porpoises & a Fin Whale. LISMORE: 6 Shoveler & 2-3 Jays. 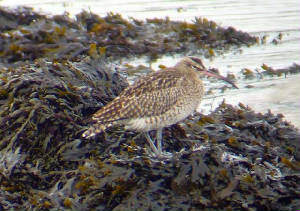 DUNGARVAN: Leach's Petrel off the pitch & putt course; Whimbrel & 2 Chiffchaffs at Knockanpower, Ring. CLONEA STRAND: Chiffchaff at Ballinclamper. 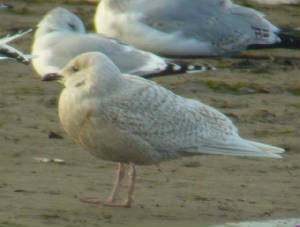 DUNGARVAN: Adult BLACK BRANT at pitch & putt course, 4 Common Sandpipers & a 1st-winter Iceland Gull at Barnawee. 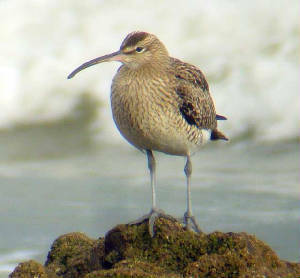 BUNMAHON: Green Sandpiper & 2 Kingfishers. BUTLERSTOWN: Kingfisher at the Clashes.